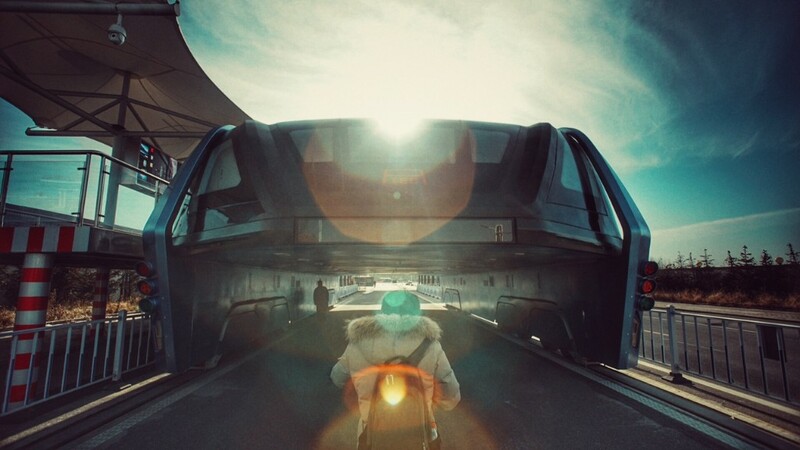 China's futuristic elevated bus will soon be a thing of the past. 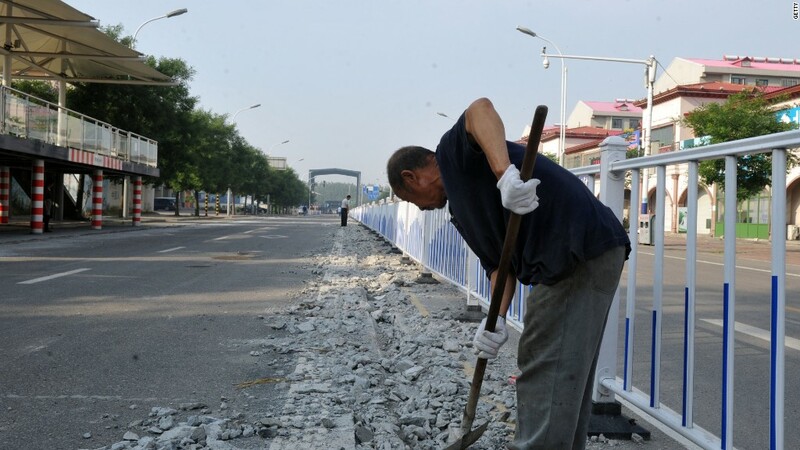 Workers in the northern Chinese city of Qinhuangdao tore out the tracks for the road-straddling vehicle with jackhammers and shovels this week. They're cleaning up the mess left behind by a project that caught global attention last summer when video emerged of the 26-foot-wide bus cruising over the top of cars during a test run. Billed as a potential answer to China's crippling traffic problems, the vehicle instead became the source of bottlenecks in Qinhuangdao. Cars traveling in both directions had to crowd together on the other side of the road to avoid the barely used tracks and idle bus. Residents have complained about the traffic problems caused by the abandoned bus and tracks. 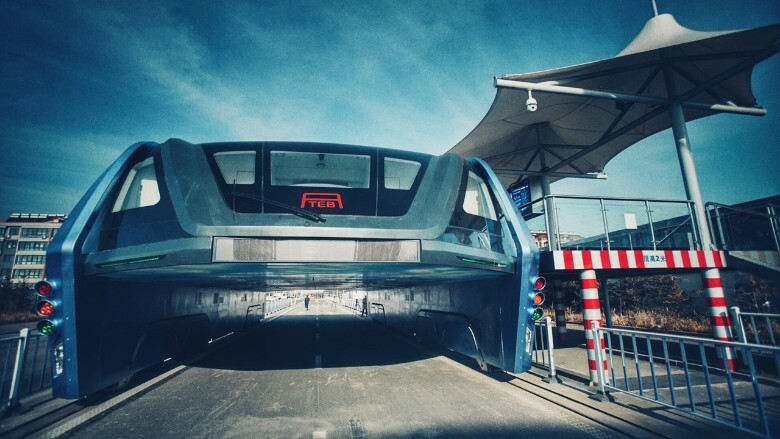 At the time of its test run, the bus was a new idea that drew a lot of people to the area, local resident Wang Jingzhou said in a video by China News. "Who would have thought that it would end up being demolished?" he said. Other residents have complained about the traffic problems caused by the abandoned bus and tracks. Local authorities have now taken charge of removing the 330-yard-long test site and repairing the road, according to China News. A local government official told CNN she didn't know who was in charge of tearing up the tracks. She said her office has been unable to contact TEB Technology, the company behind the bus project that was supposed to have cleared up the test site last summer. TEB didn't respond to multiple requests for comment Friday. While the tracks are being ripped up, the hulking bus will eventually be moved to a parking lot, China News cited an unidentified local official as saying. The vehicle's ultimate fate remains unclear. Chinese state media began questioning the legitimacy of the project immediately after the test run, raising suspicions that the whole thing was a publicity stunt funded by a peer-to-peer lending program, a loosely regulated form of investment that has resulted in scams in China. When CNN visited TEB's Beijing office in December, the company's director of development said its future plans were unclear because funding was being cut off. -- Eric Cheung and Nanlin Fang contributed to this report.